Mikhail Kalinin, the son of a poor peasants, was born in Verkhnyaya, on 7th November, 1875. He worked on his parents land until going to primary school at the age of ten. He then moved to St. Petersburg where he worked as a footman for a wealthy noble family. When he was sixteen Kalinin found employment at a armaments factory. Later he worked as a lathe operator at the Putilov Iron Works where he came into contact with socialist workmen trying to form a trade union. Kalinin also joined the Social Democratic Labour Party and began writing for the Rabochaya Mysl. He also became active in the Liberation of Labour, a Marxist group that had been established by George Plekhanov, Pavel Axelrod, Vera Zasulich and Lev Deich. In 1898 Kalinin was arrested because of his membership of Liberation of Labour. After ten months' imprisonment he was exiled to the Caucasus. He soon escaped to Tiflis where he found work as a metal craftsman. However, he lost his job when he tried to set-up a trade union in the factory. Kalinin became a railway worker until he was once again arrested in 1903. The conditions were appalling in the prison in St Petersburg and in protest he helped organize a hunger strike. The prisoners were badly beaten and one of the men died of his injuries. 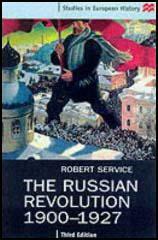 The 1905 Revolution brought about his release and he immediately joined the Bolshevik faction of the Social Democratic Labour Party. He helped establish the Central Union of Metal Workers and began publishing a workers' newspaper. 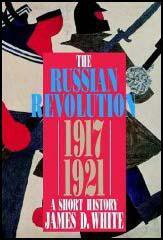 Kalinin was an outspoken critic of the First World War and in November, 1916, he was arrested and exiled to Siberia. After the abdication of Nicholas II he was freed by the Provisional Government and he returned to Petrograd where he took part in the October Revolution. In 1919 he became mayor of Petrograd and a member of Central Committee of the Communist Party. On the death of Yakov Sverdlov in March, 1919. Kalinin became President of the VTsIK. Kalinin, who remained loyal to Joseph Stalin after the death of Vladimir Lenin, died in 1945.